William J. Friedl - Mediator & Arbitrator based in Phoenix, Arizona. Please click your preferred available date to submit a request. Your Appointment Form will be sent to William 's assistant, Carol Friedl. 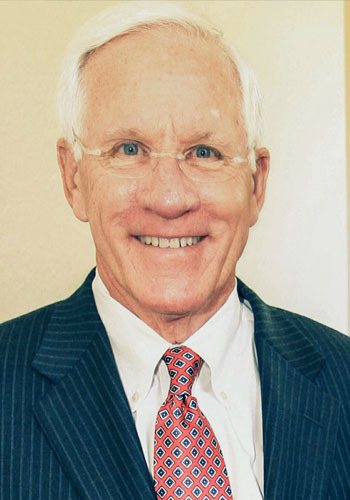 Bill has over 30 years of experience practicing law and helping injured persons. He is certified by the Arizona Bar Association as a specialist in the area of Personal Injury and Wrongful Death. His areas of practice are Personal Injury, Medical Malpractice, Wrongful Death and Dispute Resolution. He has maintained an AV rating by Martindale-Hubbell for over 30 years, which is the highest level of professional excellence. He has been listed in the Bar Register of Preeminent Lawyers. Bill is listed in Super lawyers. Bill graduated from the University of Denver in 1967 and the University Of Arizona College Of Law in 1970. $400./hr. No cancellation fee charged unless prep time has been started.